Following my altercation with the NT over their Gate Stop & Pot holes, I just had to find these Car Badge. Now I just need to work out a Suitable fixing method, but all in good time . 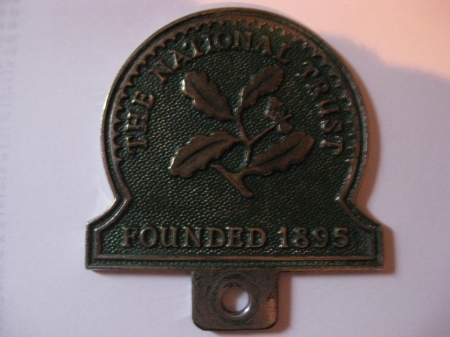 Made by The Birmingham Medal Company. Is it big enough to protect your sump Frank?? I'd like to find one of those. I tried that without any Joy so waited for one to turn up on ebay and of course, two came along together. Neither photo showed the Fixing stem so it could have been a 'Post Way Marker' but this one is chromed before colouring indicating that it was a higher grade than the Gun Metal Fence post plates .